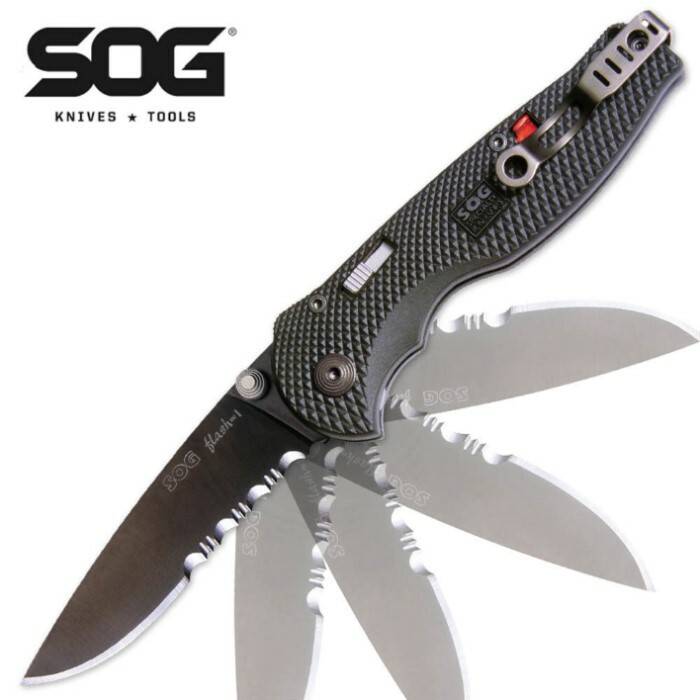 SOG Flash I Assisted Opening Pocket Knife Black Tini | BUDK.com - Knives & Swords At The Lowest Prices! SOG's Flash I folding pocket knife features SOG's signature SOG Assisted Technology (S.A.T), which employs a powerful piston lock that is easily released with a sliding button. SOG delivers again with this classic Flash I assisted opening folding pocket knife, this time with their signature TiNi coating. it has a cheep feel and a weak spring. the handle is a bit small. The blade is pretty good. It would be good for a camping knife for your kids.